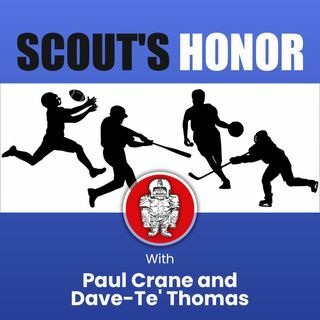 Paul Crane talks about the NFL draft prospects of several college players with scout Dave-Te' Thomas two weeks in to the season. They discuss defensive linemen such as Houston's Ed Oliver, who will not hear the same kind of praise he may hear elsewhere. The top QBs in college football include some rising along with some solid Day 2 and Day 3 picks and a surprising overall assessment. Wisconsin fans should enjoy much of what they will hear, while Oklahoma and Michigan fans may not. ... See More Players in several other positions such as RB and WR get evaluated, some teams with big concerns including one in the NFL. It's early, but the Scout' Honor podcast is in mid-season form already.